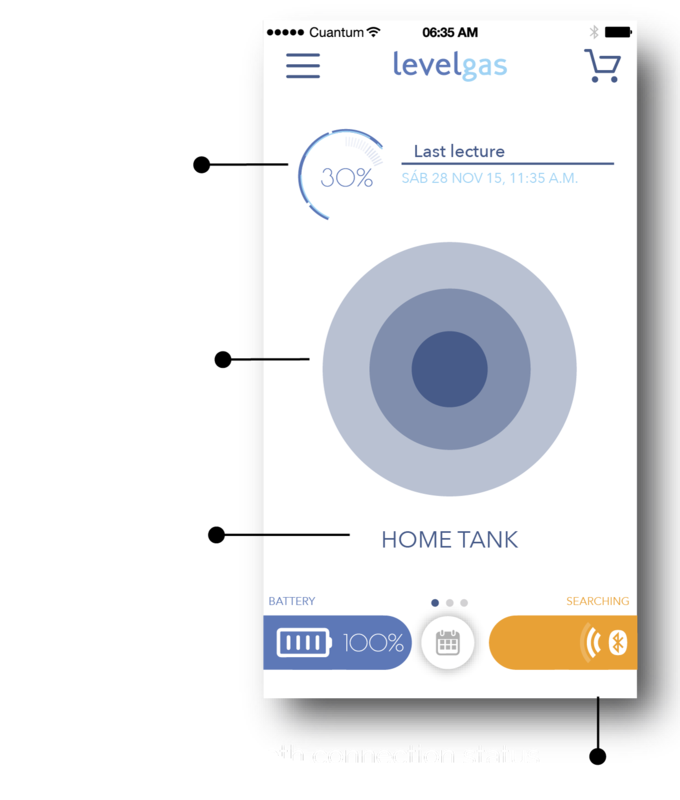 On the main screen of the app you will see the current level of your tank while you are connected to the sensor. 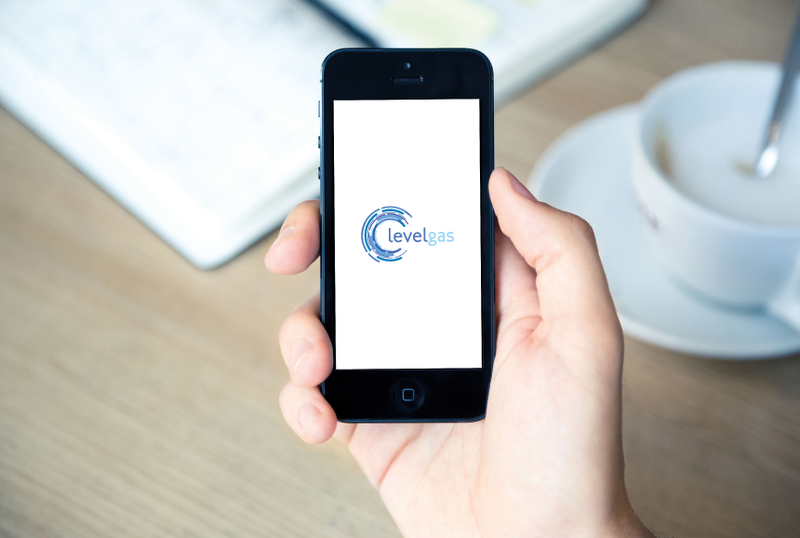 When you are not connected to your Levelgas sensor you can always see the last reading of your gas tank being recorded as well as the date and time.  Receive an alert so you don’t run out of gas. 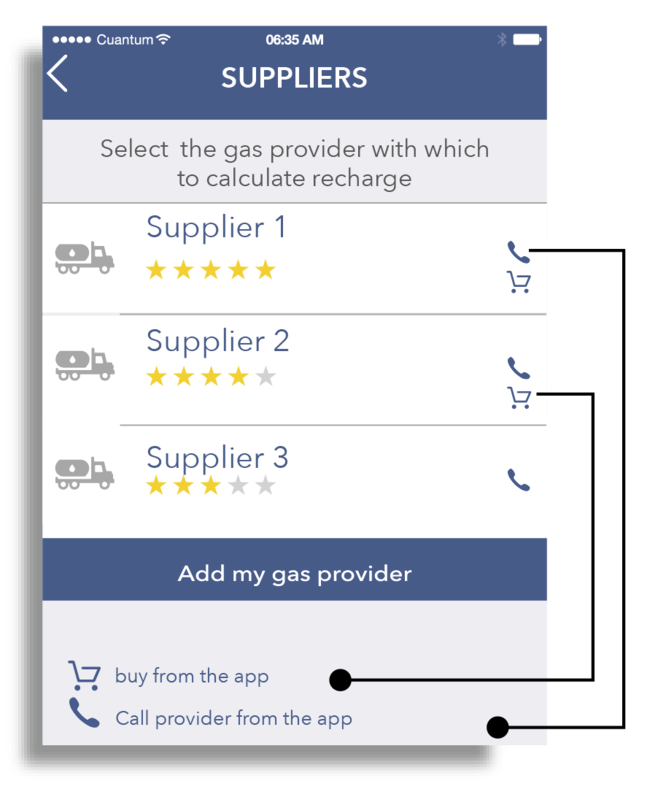 Suppliers with service in your area appear in a list. Purchase a refill to the supplier of your choice. Get the price per gallon of your preferred distributor. 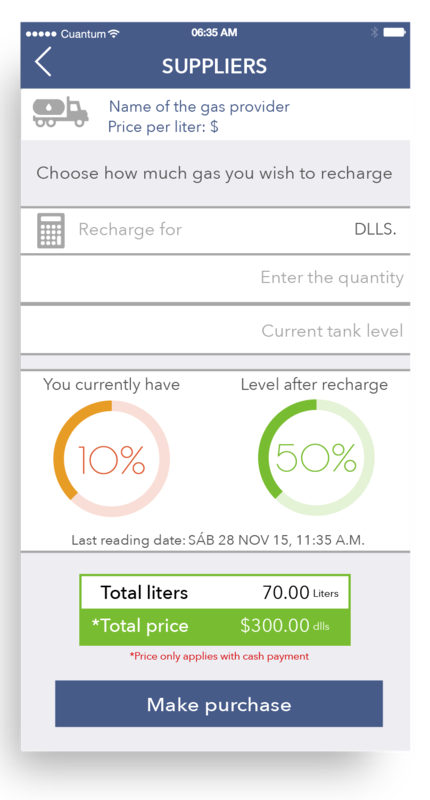 Calculate the amount of your refill by gallons or price. Add as many tanks as you need using only one account, there are no limits*.  *Every tank requires level gas sensor to synchronize it with the app. 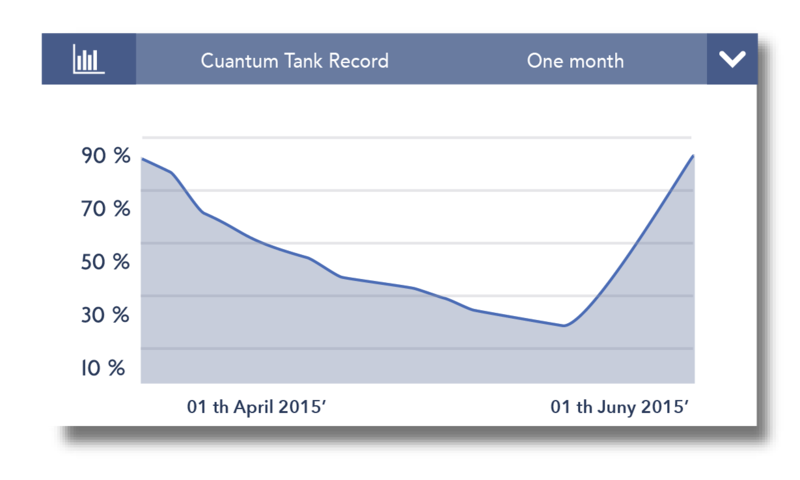 Share your tanks with your family so they don’t need to pair the sensor again.